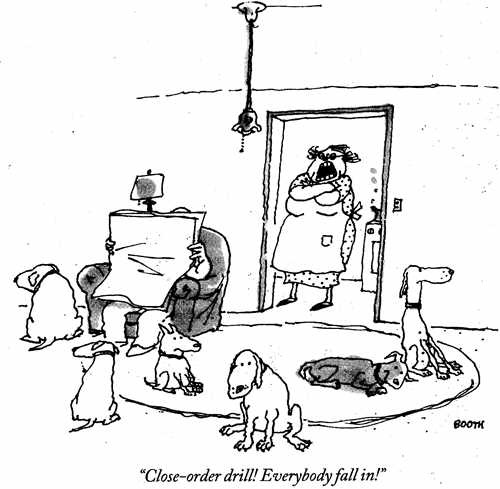 Aside from the Thurber hounds, by far the best cartoon dogs are by George Booth, whose work has appeared in The New Yorker for decades. I love their postures and expressions, which manage to be simultaneously understated, exaggerated, and dead-on accurate. The absurdist captions are a delight as well. See more of Booth's stuff here.